Amazing morning light to take some shots at this cargo vessel. 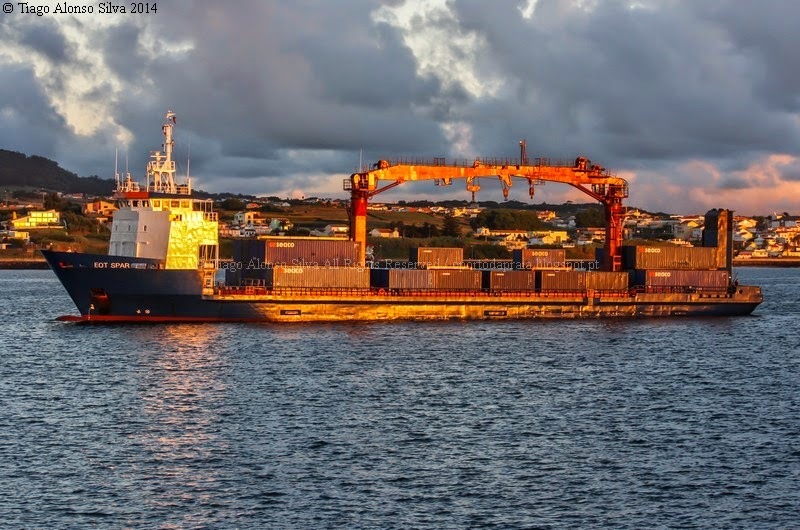 After a long voyage from Norfolk, USA the EOT SPAR is seen here entering at Praia's harbor. This vessel bring goods to USAF forces based at Lajes. After unloading some of his cargo here this vessel will resume his voyage to Las Palmas - Spain! It was an amazing surprise to see this guy around here again after a long absence. The ships that were making this voyages were the MV Transatlantic and the MV Geysir!